Dior SkinFlash Primer / Gee Whiskers! I have such exciting and great new products but just not had enough time to write reviews on all of them. Hopefully I'll be able to cover a few this week. 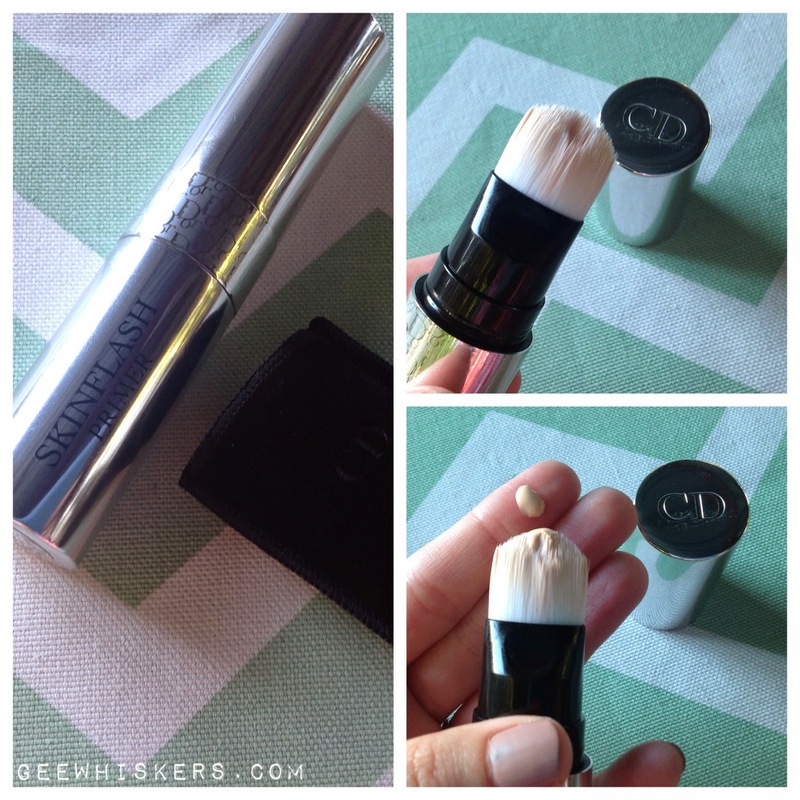 First up is the Dior SkinFlash Primer. The primer comes in a tube that you twist the bottom of to release the product into the brush on the other end of the tube. Honestly I am not a huge fun of products that have this kind of brush on the end because it does get messy and one needs to clean up the excess in the lid every now and then. The brush also does not apply the primer all that well. I use it to evenly dot the primer on areas of my face and then use my fingertips to work the product into my skin. That being said this primer is absolutely fantastic. It is specifically for boosting the radiance of your skin by attracting light and diffusing it with its photo smart pigments. It helps to make your skin appear less dull and restores a glow. This is a great base for foundation however, if you have good skin it isn't really that necessary to wear foundation. Makeup lasts incredibly well throughout the day and your skin doesn't get oily. I can't really recall the exact price of this, I used my upcoming wedding as an "excuse" to buy this. I think it was around R650. Do I think it is worth it? For everyday use - No. It is far too expensive to "waste" that way. For special occasions - Definitely! You know your makeup will stay put for longer and your skin will look fantastic. This is one of the products I use when I feel like treating myself. It is amazing how wearing certain makeup just boosts your mood. Totally ONLY for special occasions. Sounds like a gorgeous splurge.